UC Riverside is undergoing a significant transition on numerous levels. As Chair of the Academic Senate, Dylan Rodriguez has been heavily immersed in many of the critical discussions related to this and took some time to speak with the Highlander about the ongoing issues in an extensive interview. 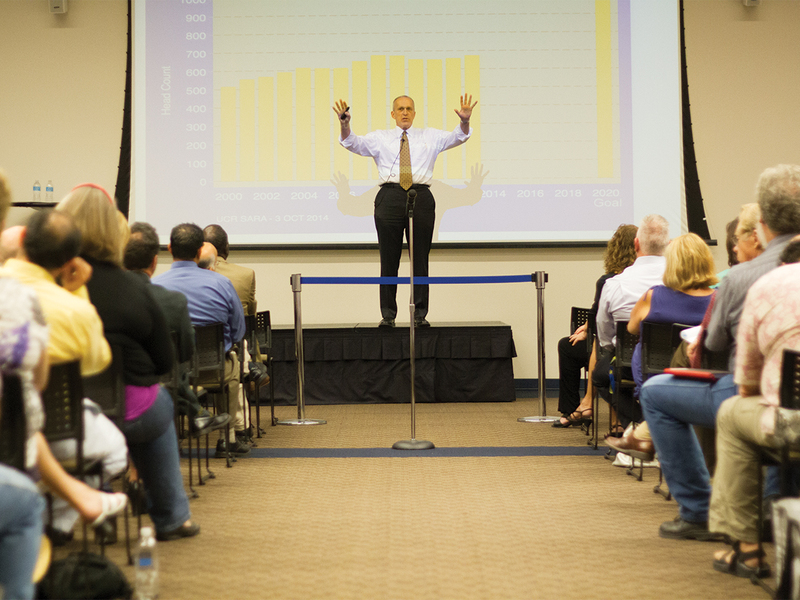 UC Riverside is in the midst of a significant transitional phase. The stepping down of Abbaschian, Olds and Woolridge, which, at the time, was rationalized by Wilcox as a need for “change,” sparked concerns from this very editorial board about what exactly this change is meant to represent in the broader consideration of the UCR campus. 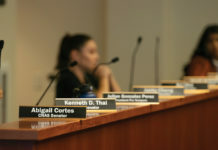 Though beyond our board, concerns about these changes — both in regard to changes in leadership and the broader visions of campus growth — have been raised numerous times by members of the UCR faculty, the earliest traces of which can be drawn to a summary of recommendations published by the senate committee on planning and budget and submitted to Wilcox on June 5, 2014. “In short, we are excited by the prospects of growing the faculty and reinvesting in the quality of the University, but are concerned that there is no realistic and comprehensive plan to achieve the aspiration goals and that blind growth in an attempt to meet our aspirations may be risky.” (page 1). The concerns raised in the report are nearly identical to those aired publicly by faculty during the November 29 academic senate town hall meeting and December 6 division meeting of last year, for which both Wilcox and D’Anieri were present. 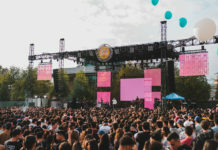 During these meetings, some openly coined the phrase “growth for growth’s sake” when referring to perceived mismanagement on part of administration in executing the large campus growth plan known as “UCR 2020.” Many also expressed displeasure with the administration’s failures in properly practicing the UC tradition of shared governance, frustration with the amount of outsiders hired into key leadership positions on campus and the administration’s decision to defund vital programs such as UCR’s childcare services. What emerged after those meetings was 106 emails in the inbox of Academic Senate Chair Dylan Rodriguez from faculty members calling for a special meeting to discuss a vote of no-confidence toward D’Anieri — the threshold to initiate a special meeting is 10 requests, and Rodriguez attests the amount he received was unprecedented. With this vote looming, D’Anieri announced his resignation on December 16, citing “significant differences” between his campus visions and those of the faculty. His resignation is effective come June 30, 2016. In a statement following D’Anieri’s announcement, Wilcox, who in the December division meeting publicly offered himself as a target for blame directed at D’Anieri given that he supported everything the provost did, touted the campus-wide “strides in student success, research stature, and faculty diversity” under D’Anieri. The meeting to discuss the no-confidence vote will still take place as long as D’Anieri remains in the Provost position, per obligations by the academic senate bylaws. 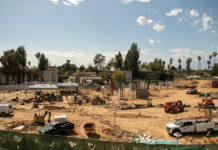 Regardless of the discord, many members of the faculty still do not hesitate to compliment Wilcox’s ambitions and openly acknowledge actions such as the implementation of UCR’s air-testing facility and development of multidisciplinary research buildings as beneficial for a growing campus. However, frustrations arise in regard to what many of those same faculty view as significant growth without proper foresight from the administrators making those decisions. To gather a perspective of these recent events, The Highlander sat down for a one-on-one interview with Rodriguez. 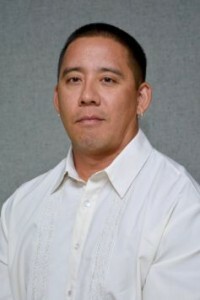 Rodriguez has spent over 15 years as a faculty member in UCR’s ethnic studies department and was elected to the chair in April 2016 (with his term beginning in September 2016). In this extensive interview he shares his views on the current dynamic between UCR faculty and administration, the state of shared governance on campus, Wilcox’s ambitions for growth and much more. Some quotes from this interview have been lightly edited for clarity. Myles: How would you describe the current political climate as it relates to the dynamic between UCR faculty and administration? Dylan: I think it’s difficult to characterize that simply because, of course, there’s a complex set of relationships within colleges and between colleges. So I would hesitate to make one generalized characterization of the relationship between faculty and administration. It’s complicated. Of course, right? But what I do think is fair to say is that we’re in a moment where the faculty at UCR are involved with the work of the academic senate, which is to say they’re involved in empowering the academic senate in a manner that is probably unprecedented at our campus. None of the faculty that I’ve spoken to can recall a time in which there was this intense of an involvement with the academic senate or this broad a demographic involvement with the academic senate among the faculty — and I’m including folks that have been here for close to 40 years. MA: How would you characterize the administrative leadership’s response to the matters raised by this increased involvement? DR: What is interesting to me is that it’s precisely at the moment in which we have this incredible grassroots upsurge of faculty involvement in trying to take leadership in guiding our campus that I am hearing a lot of anxiety from some of the members of our administration about the necessary critical conversations that emerge from that faculty involvement. This, to me, is an indication that our campus has a lot of work to do to enrich the practice of shared governance. MA: Can you further elaborate on the current state of shared governance on campus? DR: Shared governance is a difficult thing. It’s oftentimes a conflict-ridden thing. That’s the point. The point of shared governance is for there to be a rich, a healthy, a robust set of debates and conversations in the context of a shared stake in planning the future of the campus. And the shared state is between faculty who have been here for a long time and who will be here for a long time and the folks who are in positions in the administration whose job it is to make executive decisions in running the campus. That’s what shared governance is supposed to look like. So in my opinion, as chair of the senate, this is an opportunity for the administration. And to be fair, there are members of the administration who are absolutely thrilled at the level of faculty engagement in the senate — members who are embracing this as an opportunity to take advantage of the will, the leadership and the energy that’s being shown by the faculty right now and I give them all the credit in the world. I think those are conversations that everybody is excited to have because it’s going to potentially transform the everyday institutional culture here for faculty, administration, students and staff — for everybody. Because that’s a major part of what animates the morale of the everyday interactions on campus. MA: What challenges have you seen in regards to the high level of faculty involvement? DR: I have seen a lot of challenges in the responses to this intense level of faculty involvement to the senate that make it very clear to me that we’re in a certain kind of learning moment for both administration and some faculty who have not seriously engaged or experienced these complex and sometimes messy relations that have characterized shared governance in the past. This is sometimes because folks are coming from colleges and universities where there was no structure of shared governance, where what you had was the administration making decisions and the faculty who are basically employees. What we have here (at UCR) is a little bit different than that. Faculty and administration are supposed to be in a consultative relationship on decisions that affect the research, teaching and service mission of the university, which is to say the faculty’s research, teaching and service mission. That’s a paradigmatic difference and it takes work for people on both ends of that equation to get their heads around what those consultative discussions look like, how long things take if you’re going to actually engage in a discussion and then what it means to disagree on things and how to engage in a governance that is, in fact, shared, rather than just nominally shared. MA: How have you seen some of these new faculty adjust to what, for them, is a newly introduced process of shared governance? DR: I’ll say that the faculty that are engaging this practice of shared governance for more or less the first time — and this is both new and old faculty, there are faculty that have been here for a long time but haven’t engaged with the senate that much and now, suddenly they’re hyper-engaged and it’s awesome, it’s amazing to see — I can see in their body language, in their voices, in what they say, in the emails to me, in the phone calls, that these faculty are eagerly embracing the opportunity to invest themselves in the collective leadership of our university. That has been the most inspiring and invigorating thing about sitting in this office, is seeing that, and that is across all the colleges. DR: Yeah, it’s incredible. And it opens up conversations that are vital to me — and I’m talking about myself now — conversations around institutional racism, institutional misogyny, around the need for there to be an infrastructure that recognizes how faculty of color for example, and women faculty and queer faculty on this campus do all forms of extra labor that tend to be rendered invisible by the merit and promotion system. So those conversations get opened up because now you have so many more people that are engaged in trying to take collective leadership of the campus from the faculty level, right? So that part has been incredible. MA: How would you characterize the tension we’re seeing? DR: I think a lot of the tension that we’re seeing now, including the tension that led to the provost resignation have to do with what I hope will be a momentary growth pain, a momentary disconnect between a faculty that is eagerly embracing the collective leadership that is defined by shared governance and an administration that is less even in its understanding and practice of shared governance. That’s the fairest way to put it. I’m trying to be even-handed here because there are certainly members of this administration who I think fully understand and embrace shared governance. There are enough who I think are still learning that component of what it means to be an administrator at a UC campus and that there is a historical pattern of shared governance not being adequately practiced by particular members of our administration that has led to this heightened antagonism. MA: How has this antagonism affected the senate’s overall activity? MA: Right. I know you’re speaking on these issues considering them at a broader capacity among UC campuses, but how do you believe this uniquely affects UCR? DR: UCR is the campus that is perhaps most defined by its undergraduate population in the UC system. Meaning, it’s perhaps the one that is most defined by the relative uniqueness of our undergraduate students, the fact that as long as I’ve been here, our undergraduate students are the ones who most reflect the urgency of public education in 2016, the urgency of the UC system and all of its administration and faculty being forced to live up to the qualifications of the UC’s so-called “(California) Master Plan (for Higher Education)” set up (in 1960) to educate every single young person — and old person for that matter — in California, including first-generation college students, including undocumented students, including people who are formerly incarcerated, people who come back to school after being on the job for 20 years. Our campus probably represents that more than any other public research university in the country. So that’s the other thing that’s behind all of this will among my faculty colleagues that I’ve seen: That our leadership must be guided by a sense of deep responsibility to being given the tools and the resources that we need as faculty here to fulfill our highest obligation to our students. MA: A question that keeps coming up in my head is “Why?”. You mention that you’ve seen a tangible shift in urgency from faculty across the UC campuses, but what are issues and concerns that have sparked this change and when did you see it mostly occur? DR: I’ll say I think it’s been a steady accumulation of institutional energy amongst the faculty ever since the financial collapse of 2008. When we entered the 21st century depression in 2008 and the UC system was hit hard and UCR in particular was hit hard, everyday routines suddenly changed for the worse, meaning staff was essentially downsized. It’s never been the same since then, the resources haven’t been the same, the relationship between the University of California and the California state legislature hasn’t been the same. So I think things really started to catalyze back then, especially with students in the street protesting the rise in tuition and fees.So I think some faculty saw that, some were directly engaged with it — I was directly engaged with it. I was on the line with the students when the regents were coming and there were massive protests, I was there with the students when the helicopters were trickling overhead and cops were shooting their paintball guns at people. I wrote an article about it, wrote a long article about it. DR: OK yeah. So right around that same time there was similar stuff that happened here (at UCR) but it didn’t get any press because the students that were getting shot and bruised up by the cops and their little rubber pellets, they were black and brown students. UC Davis, first of all, there’s an image of a cop with this riot gear on pepper spraying these white and Asian students that were sit-down protesting and it’s an incredible image because you’re not used to seeing that. At UCR, (there were) just as many images of the after effects of these riot police reacting against a UC system-wide mobilization of students and some faculty and some staff protesting the fee hikes and those young people here at UCR were facing police repression in arguably worse ways. I had students in my class that, literally two years after that protest, would show me the scars and the discolored skin that they had from taking these so-called non-lethal bullets from police during that day. So since that time things have never been the same. Before that it was (California Proposition) 209 (commonly referred to as the California Civil Rights Initiative). I entered the UC as a grad student in fall 1995, that’s when prop 209 passed. So there are these moments in the history of the UC system in which something happens that changes the infrastructure and political culture of the institution, after which, there seems to be a fundamental change to the everyday routine, the everyday culture, the everyday feeling of being in the university. MA: Right right, so tying this back to the initial question on turning points, where would you pinpoint the shift in an increased sense of urgency from both students and your colleagues? DR: So one point of origin for me would be 1995 — the passing of Proposition 209 — and the most recent one would be 2007-2009 with the global financial collapse and its direct effects on the UC system and UCR. And that required, in a sense, a shift in how administrators did their work, did their planning, did their budgeting and so forth. So I think what we’re seeing right now is the intensification of a fundamental debate on our campus regarding what planning and what infrastructure can look like and ought to look like given the limitations that we’re working under in this historical period. So I think there are multiple points of origin to it and it’s just a matter of faculty finding a sense of collective voice and collective position. MA: And collective reason, perhaps. DR: Yeah. Right. And you know, the academic senate is an already existing vessel to articulate that. It means faculty don’t necessarily have to go and reinvent the wheel, right? They’ve got something. MA: So walking this conversation back to UCR and Chancellor Wilcox in particular, you’ve spoken at length about a shift in approach from the faculty on campus, but what sort of shifts in approach have you seen from high-level administration since he arrived to campus in 2013? DR: How about this, I’m going to be really fair to him. I’m gonna say that book is still being written. I respect the position that Chancellor Wilcox is in, I think he has shown to me an interest in moving forward alongside the faculty and I intend to walk that path and I can say that the senate leadership intends to walk that path. MA: OK. Though obviously, numerous concerns have been raised by the faculty you preside over in regards to decisions made by the current administration. DR: Absolutely, and what I would direct attention to is the (recommendations submitted to the Chancellor from the Planning and Budget committee) in (2014). But the short answer to your question is yes. As with any responsible academic senate, our responsibility is to engage in a constant analysis, critique and consultation with the administration. That’s our job, right? We’re supposed to be doing that. Ideally we do it in a kind of healthy, critical dialogue with our colleagues in the administration. What I think is perhaps unusual in this moment is the severity of the problems that are being identified by faculty in terms of their ability to accomplish and fulfill their basic obligations as faculty members, meaning: Teaching, research, service. I think the severity of the problems is unusual at this time. MA: I think the question there is what, in regards to the decision-making by those at the highest level of the university, has led to the increased severity you speak of? DR: Well, the real answer is it depends who you talk to. If you see the recent public statements that have come out in the Press-Enterprise and LA Times in particular, there’s one narrative that’s coming from members of our higher administration that seems to portray the faculty as simply not being prepared to grow the campus at the kind of progressive and rapid rate that the administrative planning envisions. That’s one narrative that seems to be out there. There are at least several other narratives that would compete with that narrative. en deeper into the infrastructure of the university that would critique some of the internal nuances of how decisions are being made, how planning is happening and how budgets are being constructed. I won’t get into that here but I’m saying that there (are) all these other narratives that underlie that. So (to) say the faculty have reached a certain kind of threshold is to say that we want to hire more faculty, we want to teach as many students as we can teach under decent conditions, we want our campus to stand out and grow, but we want that being done properly. Especially because our undergrad students are who they are. The argument that I am constantly making at UCR, UC system-wide and elsewhere is that, to grow a campus without adequately planning for the success of its students and its faculty in the midst of that growth, knowing that our faculty are diverse and our undergrad students are among the most socioeconomically, race, gender and class diverse in the country, to not be responsible to their needs during a period of growth is yet another articulation of institutional racism. That’s how I see it. Because there’s a brandishing of the demographic diversity of our campus and that demographic diversity has to be accompanied by first-class resources provided to those students and to the faculty of those students. Anything other than that, by definition, is second-class at best. And so I’m not willing to tolerate that. A lot of other faculty here are not willing to tolerate that. And frankly, the fact that faculty are concerned that they’re not able to adequately conduct their work as researchers, which is what distinguishes the UC system, is fundamental to the entire reputation of UCR. That’s what makes us a research university, is the fact that people are able to do their research. If they’re not able to do their research, the identity of the university is at stake. MA: What I would like to get at is while there is what you refer to as second-class treatment and a heightened urgency while all these concerns are being brought more to the forefront, would you characterize the problems as inherently new? Or simply faculty deciding to no longer settle for these issues that have been pre-existing? DR: I would hesitate to characterize anything as authentically and absolutely new. There’s always a kind of accumulation of developments that lead to things reaching a certain threshold point. So rather than saying it’s new, what I would say descriptively I’ve seen happening is faculty are simply fed up with what they see as deteriorating conditions for their teaching and their research. And they’re taking leadership and ensuring that their institution not only remains a first-class research institution but distinguishes itself as a unique campus with a unique group of people. So in a sense this is, in my view, a collective urgent mobilization of the faculty that are staking a claim to taking the university back and holding the university accountable to its own mission. That’s what it comes down to, that’s what boggles my mind about all this is that there’s all this back-and-forth, but the thing that is sometimes lost is that what the UCR faculty desire is the best possible conditions under which they can fulfill their obligations to our students. That’s what they want. It really is that simple. They want labs where undergrad students can learn to become scientists. They want rehearsal spaces in which undergrad students can learn what it means to perform. They want lecture halls in which undergrad students can have the ability, physically, to learn and be in a position to take notes. Just take notes. Just to be able to take notes without sticking a notebook on your lap and having it slide off because there’s no desk. I mean this is what we’re talking about, right? And for their part again, the faculty also, what they want are offices, they want labs, they want research space, these are things that are the responsibility and obligation of any research university. So I think it’s a beautiful thing. Because faculty, they’re not being selfish. If you look at what faculty are talking about, even when they talk about circumstances that are individual to them they’re thinking about it in a collective setting. That’s unusual. Because the nature of this job is that many of us, as faculty, are deluded into thinking that we’re isolated individuals. Right now folks realize that that’s not the case — that what is bothering me is probably bothering the person that’s down the hall and the person that’s on the other side of campus. And so if the faculty are seeing this as a collective situation and they’re taking collective action to remedy that situation, I think it’s wonderful, I think it’s great, I think it’s an opportunity for our university and I think it should be embraced by everybody including our administration, including our students. MA: So we’re running on time here and I’d like to get to a couple more things. First, the chancellor and administration have obviously heard these complaints, they’ve been present at the town halls, read the articles, all that. How would you characterize their response to these issues thus far? DR: Of course it’s varied, right? People in the administration are just as complicated and just as diverse as people among the faculty, so I want to be fair about that. There has not been one response. I’ll say, in the most generous versions of the response, what I’ve seen among some of my colleagues in administration is the same level of excitement that I have about the degree of participation that the faculty on this campus have in staking a claim for collective leadership. At its best I’ve seen that from a number of my colleagues in my administration. I think that’s great, that gives me a profound sense of optimism and of anticipation for what lies ahead of us these coming months. So there’s that. I’d include in that, some of the members of our administration who are relatively new to the campus have come to realize that part of their potential to succeed at this campus will, in significant part, rely on their willingness and enthusiasm to engage with the faculty. Both under the terms of shared governance but also beyond that, just to know who the faculty are, to respect who their colleagues are and to take advantage of the fact that the faculty are, again, they’re showing an investment in the stake of the campus. That they — meaning the administrators — they’re not by themselves, they’ve got faculty that are (…) there with them. In most cases they want the same kinds of things, there might be differences in methodology but, for the most part, people at least believe they want the same things. I think it remains to be seen the breadth and depth to which the enrichment of shared governance practices will take place and whether it’s taking place will live up to the task, the responsibility of the vision the faculty here have to change, transform and move things forward. So it’s diverse, it’s complex, there’s not (…) one response, but there’s a lot of reason to think that because of the energy of the faculty, in these recent times, that there’s a significant opportunity in front of us, including for the administration. DR: Oh clearly it is. But I would caution anyone to believe that one resignation will automatically make anything better. What is required now is a sustained effort and a sustained expenditure of leadership, energy and engagement among the members of the faculty and members of the administration. I think the provost resignation signals the need for that more than anything else. MA: D’Anieri stepping down was also more clearly a direct response to the potential vote of no-confidence directed toward him, which some have suggested was initially aimed toward both him and Wilcox. Is there truth to that? DR: No, that’s actually not true. In fact, technically, the call was to hold a special meeting to discuss a vote of no-confidence in the provost. So officially there has not been a vote of no-confidence, what there has been is a call for a special meeting and the convening of a special committee to prepare for the special meeting to discuss the possibility of a vote of no-confidence in the provost. MA: Right and from what I understand that special meeting is still obligated to take place. DR: It’s obligated, at least as long as the current provost actually holds the title of provost. The special committee itself is in the final stages of being convened and I’m separate from that. It has its own autonomy and I’m supposed to be separate from that. MA: OK, fair enough. So let’s talk about some of the issues with D’Anieri in particular that led to the discussion of a no-confidence vote. DR: I’ll give you a short answer to that and the reason is because I think the fairest response to your question would require conversations with more faculty than me. I think what led to the 100-plus emails calling for that special meeting was a deep concern about the integrity of shared governance on our campus. That’s a pretty strong statement (…) If you have 100-plus faculty that are questioning the integrity of shared governance at that fundamental a level, it’s serious. MA: And you received these 100-plus emails over a span of time or was it a result of you maybe calling for faculty to raise their concerns? DR: 106 to be exact. But no I didn’t call for anything. I think there was a grassroots effort by faculty across the campus to call for this special meeting because they realized that the division meeting was coming up, that 10 senate faculty members was the threshold for a special meeting on a certain topic and the senate is obligated to hold it. The last time it happened was when — I think this was last spring — there was a proposal for the senate to move its offices to Hinderaker and there were enough senate faculty that objected to that that they called for a special meeting and ultimately we stayed here (the University Office Building) because of the outcome of the meeting. That was 10 faculty. In this case it ended up being 106. MA: About how long of a span did it take for these 106 emails to accumulate? DR: I received over 100 emails requesting the special meeting in about 20 hours. Starting around 5 p.m. the day before the December 6 division meeting, I received a steady stream of emails from faculty all across the campus — CHASS, CNAS, BCOE, etc. (…) I could tell this was not just kind of one email petition that was just circulated massively. These were coming from unique email addresses, people writing their two or three sentences making the request and they took the time to do that. Again, as far as I know, in the history of the UC system, I’m pretty sure that’s unprecedented. I don’t think there’s ever happened. I don’t think there’s ever been that many faculty calling for a special meeting before in the history of the academic senate in the entire UC system, to anyone’s knowledge. MA: Moving to the Chancellor, would you say Wilcox has been overzealous in his overall ambitions? DR: No I wouldn’t say that. I would say, ambition here is not the problem. That’s what I would say. I’d say there is a lot of ambition that’s shared between administration, between Chancellor Wilcox, between the faculty here and between other administrators. So I would not say that no, I think ambition for a university like ours, with the students like ours, ambition is — that’s a job requirement. You’re not going to survive here being complacent. MA: Well would you say then that the decisions he has made have been in the best interest of the campus, faculty and students? DR: I think the Chancellor has only been well-intentioned and that’s what I’ll say.